International Women’s Day is annually held on March 8 to celebrate women’s achievements throughout history and across nations. It is the one day in the year when the amazing contributions made to ordinary lives by extraordinary women are recognized and celebrated. Women have always been treated as the inferior gender, and perhaps this is because this is the way it has been since the beginning of time. Women in today's society have certainly gained influence when we compare them to the females of yesterday. Women having rights is important to society, because 50% of society is made up of women. If depriving someone of their rights is damaging to their happiness, then we will have a much less happy society if women do not have rights. In Modern Indian society women are playing stellar role, even challenging the males in Politics. More importantly their role in family building, society development is remarkable. Indian woman is emerging out of their conventional role, realizing their unlimited potential and have begun to take major role in all walks of life. Women are the strongest part of our society. The roles of women in society have been greatly overseen in the last few decades but now are coming to a more perspective to people. In the early days women were seen as wives who were intended to cook, clean, and take care of the kids. They were not allowed to do any other activities outside home. Without women a man wouldn’t be a man at all and not have the comfort of having someone by his side through the rough and bad times. Society is also a lot more diverse as a woman’s opinion is like no other. She plays roles as a mother, a sister, a daughter, a wife. They play their roles with great responsibilities in upbringing of a healthy solid society. Indian woman is beautiful, gentle, motherly yet powerful. Indian society looks up to their women folk to take the lead, which is slowly happening. When India becomes a superpower, surely there will be significant contribution from great women. 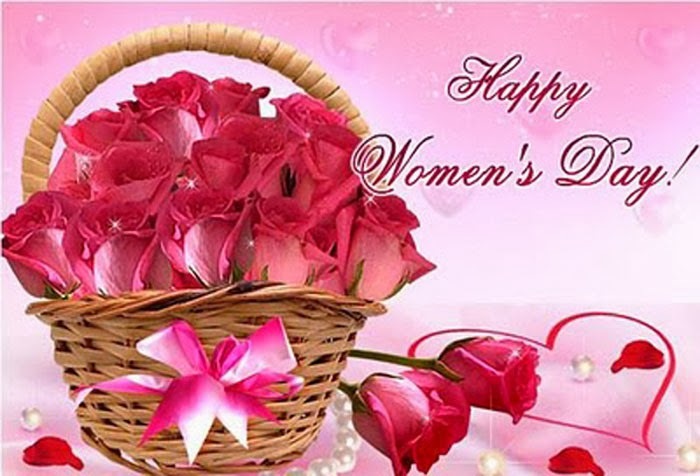 Women’s Day celebration will become much grander when it is embellished with the touch of beautiful blossoms of flowers and sweet treats such as Cakes and Chocolates. The online shopping sites provide you with innumerable items with the help of which you can make this special day celebration grander. It must also be seen as a day to remember and shower prayers on women. As we celebrate International Women’s Day this year, let us pay tribute to the tireless efforts of women across the world who are pushing for women as ‘agents of change’ for a brighter future. Copyright © www.flowerdeliveryindia.com, All Rights Reserved.